Day and Night Prayer for West Michigan is increasing! The CityFest Prayer team is growing! We currently have 1318 members signed up to pray day and night for revival and spiritual awakening in West Michigan! Please let others know to sign up at cityfestwestmichigan.org/prayer-team to join the greater community of West Michigan crying out to God day and night for a great move of His Spirit. We sense the revival and awakening is already starting. We are already experiencing many signs of God’s power at work among us. We feel His Presence among us as we gather to pray in His name. We sense a growing hunger and thirst for intimacy with God, for connecting with God through prayer, and for joining in unity with others to pray. The fires are burning and the intensity of the flames is increasing! We will persist and not give up until God answers our prayers. Many followers of Jesus are crying out to the Father for His kingdom to come and His will to be done in West Michigan as it is in heaven. Our vision and desire is to expand that involvement so that those prayers are sent up day and night , covering our region in prayer. We know the work and the workers are vulnerable and we have an enemy who does not sleep, so we seek to follow the pattern of Nehemiah. As he led God’s people in a work of restoration they “prayed to our God and set a guard as protection against them day and night. ” (Neh. 4:9) And this was an all-in effort as Nehemiah 3 recounts how everyone, from the rulers to the priest to ordinary Israelites built the wall, many of them taking responsibility for the section “opposite their house”. Our strategy is to ask churches to take responsibility for a “section” of our wall of prayer, circling our region by praying one day a month. If 35 churches would each pick one day (e.g. the 1 st Monday of the month) then every day between now and the festival would be covered. Each church would be free to organize its efforts on that day as they saw fit, whether to have a 24 hour long gathering at their campus, or to have people sign up for time slots throughout the day. Smaller churches may wish to join with other churches to cover the 24 hours. The goal is to raise the number of intercessors crying out to God for revival and to see that happening day and night! 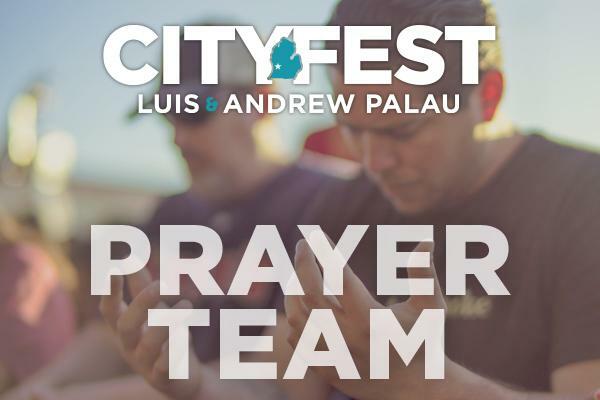 If you are interested in having your church participate in this CityFest prayer initiative, contact Pastor Marcus Little at marcus@bereangr.org or (616) 307-1233. Another 24/7 prayer opportunity is at the SW House of Prayer, a newly formed prayer room at Potters House School, from April 26-May 3 specifically to pray on behalf of the Black Hills and Roosevelt Park communities in Grand Rapids. Sign up HERE . Questions? Contact Pastor Allen Pontarelli, allen.pontarelli@gmail.com . 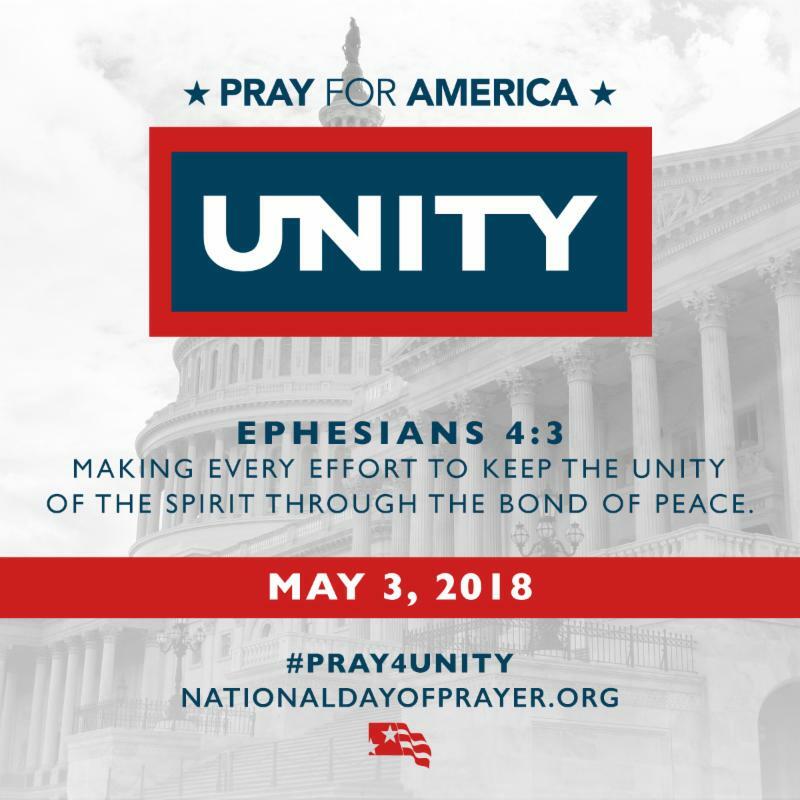 ﻿The theme of this year's National Day of Prayer is Unity . It is a day for all Americans, especially those who name the name of Christ, to come together to pray for our nation, to repent, to pray for our leaders, to pray for one another, and even to pray for our adversaries, including those who persecute and despitefully use us ( Mt 5:44 ), and to unite our hearts together under God. Every Christian in America should be involved and lead others to participate in a local expression of the National Day of Prayer. Lord, help us to have spiritual unity in our own hearts! May we bring our entire beings into unity under the Lordship of Jesus Christ: fearing, honoring, and worshiping our Creator and Savior -- Father, Son, and Holy Spirit ( Ps 86:11 ). Help us to strive for unity in our local church , and among all churches that name the name of Christ ( Ps 133 ; Eph 4:3 ). Help us to be peacemakers in America , holding forth the truth to our neighbors and fellow countrymen in the spirit of peace and love. May we never allow the enemy of our souls to sow the spirit of discord and division in our hearts that we see seemingly everywhere in America today ( Rom 12:17-18 ). 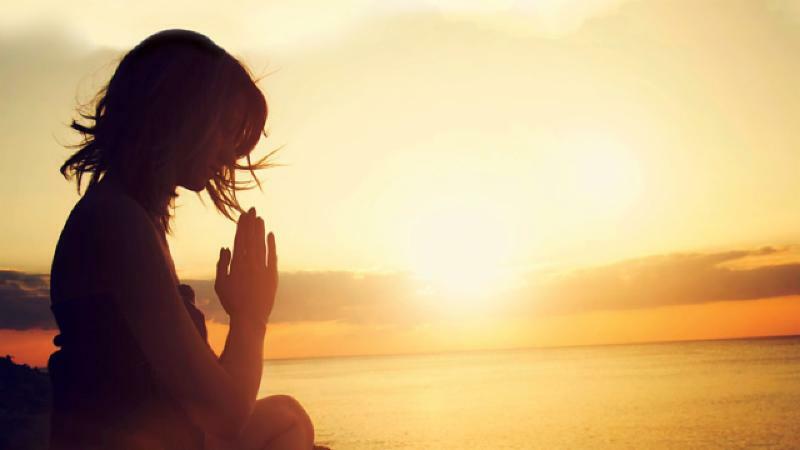 Hear our prayers on the National Day of Prayer and grant us UNITY among Christ, and as much as is possible among our fellow Americans with whom we share so much -- the many special graces that You have bestowed on all who live in this nation. Lord, we know that we cannot have perfect unity outside of our Lord Jesus Christ. But You can superintend the kind of peace in our nation that You speak of in 1 Timothy 2:1-8 . Pray for Luis Palau, his family, and his health. For more information, click HERE. Pray for Friendship Evangelism training, for Mark Mittelberg and the hundreds of people who will learn to share their faith in more effective ways. Pray for the Youth Gathering being planned for May 17 at GR First. Pray for wisdom for those planning this event, and for a huge impact upon the youth of our region. Pray for the planning team of the National Day of Prayer service for May 3 to be able to see all of the components falling into place, and to serve with joy and expectation of what God will do. Pray for the CityFest staff: Levi Park, Duffy Johnson, Melissa Banek, Austin Presnell, Dan Clark, Sarah Brittan and Rachel Kono. Pray for a receptionist and volunteer coordinator who need to be hired in the next couple months. Pray for churches to be considering how they might train and prepare now for CityFest follow up this Fall. Pray for those churches where Alpha would be a good fit to clearly see how using their gifts of hospitality, encouragement and intercession are exactly what are needed to create fruitful environments where people can explore Jesus and come to know Him. Pray that God would continue to do a work in church leaders' hearts to long for how to lead their churches in reaching this lost generation.